Pat was at Bell Labs in 1955 and in 1959 moved to NJ and worked on Nike EX (Safeguard) an anti missile system for the DOD. He designed his first electronic circuits at Bell Labs. Did his own board layout for a wire-wrap system. 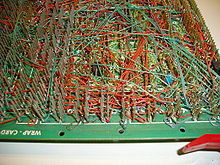 Pat asked to use a first generation computerized layout system however the result was a disaster. Management asked Pat to be part of a new wire wrap layout system. The PhD that did the first layout system didn’t have real world experience. They used their own OS and ran on IBM computers. 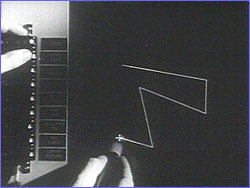 Pat renamed the layout system to BLADES (Bell Labs Automated DESign Sytem). With the 2nd generation tool they took a different approach by using manual placement of components. The router was in good shape however there were many rules for routing a wire wrap system. They even created a new language for the wire wrap router. The goal was to simplify the system for the end-user. Inputs were equations that used algebra and Boolean algebra. Components were modules with transistors that could be wired into gates, flip-flops, etc. They used 7 different components. Their computer was running Fortran and had vacuum tubes with only 32K of RAM. Pat trained the first users and they did several new designs. The placement and routing took 3 hours to run a single job, so working at night was common. Storage was on 20 tape drives, so you could watch the drives and know where your program was running. Updates to the router were frequent. By 1962 Pat gave a presentation to the DOD about his new computerized system, where they reduced design time from 6 months to just 6 weeks. The DOD then asked Pat to look at all vendors to see what software was being produced at the time. At 1963 a Miami conference was for the 704 computer users group, and Pat created a Birds of a Feather meeting. Four people showed up to the BOF meeting. Joe Behard from IBM Watson Research Center showed up and they were designing the 1401 computer system at the time. Joe thought that the work at Bell Labs looked promising for his project. Pat decided to start a conference with just $1,000 and 1964 was the first conference. Sketch Pad was an early interactive graphics program being created at the time and they were invited to DAC. Joe and Pat started phoning up friends to put together the first program which included Sketch Pad. Atlantic City had 132 attendees and it made enough money to seed the 2nd conference. In 1965 they had 250 people in Atlanta for DAC. In the early days the sponsors helped fund the DAC conference (like Bell Labs). For 1966 DAC was in New Orleans as the 3rd show had both mechanical and electronic design automation tools. They even asked President Lyndon Johnson to give the keynote to DAC mistakenly using letterhead of Bell Labs (not the official DAC letterhead). This created a blizzard of letters and activity at Bell Labs, where Pat thought he might lose his job. Instead of getting the President they did get the Speaker of the House to show up which drew Press and TV coverage, with over 600 in attendance and included the first commercial software vendors showing off PCB design. For PCB design they used black tape and a photo process for manufacturing. Calcomp had an early plotter to do PCB layouts. One session at DAC was devoted for hardware vendors (plotters, input devices, punch paper tape). The Safeguard projects at Bell Labs completed and they had a challenge to interconnect all the pieces. Western Electronics would take the designs and set them up for manufacturing. As an early developer Pat had to sell the idea to management, train the new users, and develop all the software. At Bell Labs the early computers were IBM 704, 744 then 794, all tape-driven systems, no hard drives yet. After that it was IBM 360 computers. 1967 DAC was at LA. The same year Pat tested their first missile intercept test and it was a successful test. The first programmers were hired in 1966 at Bell Labs that reported to Pat and they continued development on new tools for PCB. ESS was a transistorized switching system being design at that time and they used the BLADES tools, plus they developed their own tools as well. Recruiting at the time for a military project was a challenge during the Vietnam war. A new Bell Labs facility in Chicago was using ESS and they also did engineering and manufacturing. By 1969 Bell Labs opened up Denver, CO to do CAD work and manufacturing. Pat moved from New Jersey to Denver. There was much resistance to spending money on developing new CAD tools. Pat hired new college grads, taught them programming, and a team of 8 developed a new system called MATACUP (Machine Aided T and CAD UPdate) that saved $250K in just 4 months. This success allowed development of new CAD systems which then moved to more locations like: Merrimack Valley, Columbus, etc. In CAD today each company wants to be secretive about development. At Bell Labs they even had competing development teams spread across the US. In 1964 the original DAC was called SHARE Design Automation Workshop (Society to Help Avoid Redundant Effort). By 1970 in Denver there wasn’t much sharing of tools and ideas. They created design data management for PCB flows. Why not share components across the company? Pat created a common component library to share with others at Bell Labs. DAC continued to steadily grow with both PCB and IC research papers. Q: How has the organization of DAC changed? Up to the 20th DAC everyone involved with the conference was a volunteer and had full-time day jobs. For the first 3 years Pat was Chairman. DAC became sponsored by IEEEE and ACM eventually which really improved the quality of technical papers and the prestige of getting a paper accepted. Having a paper accepted at DAC was very important for PhD students. A program committee was add to keep building the excellence of papers accepted. At the 20th DAC it was realized that this effort by volunteers was just too great a burden of time. The idea was to try and add exhibits to help pay expenses and Miami Beach was the first location where exhibits were used at DAC. Q: Do you recall a boom year for DAC? Yes, for the 21st DAC we were in Albuquerque, NM, and they ran out of hotel rooms because of the increased interest in automation. Exhibits were placed inside of the convention center too. At that time a new question arose: How about hiring someone to manage the conference and handle exhibits? Pat wrote the RFQ for management of the show, and Marie convinced Pat to bid on this position. Pat had a rewarding job at Bell Labs yet this new position would give him some added freedom. Pat won the bid and created MP Associates to manage the DAC show starting at DAC 22. Marie and Pat worked as a team for the program providing logistics, registration, exhibit management, etc. Publicity Chairman added as result of the growth. Early companies at DAC were charter companies: Calma, Daisy (Cadnetix-> Mentor), etc. Q: What are the trends in EDA today? Companies like IBM were doing much internal CAD work then began to start buying commercial tools instead of developing their own. Thomas Pennino at Bell Labs was initially a student of Pat, then later on authorized the buying of commercial tools for his growing company. Today many new EDA tools are coming from Universities funded by Grants, not so much internal development at big companies. Q: Were there previous recessions? In the 80’s DAC attendance took a dip, similar to recent trends. Corporations were cutting travel and spending which made a downturn at DAC, however when the economy picked up then attendance went up. In the early days we could design more than what could be manufactured however now it is the opposite, we can manufacture more than we know how to design and verify. Did DAC die in the 80’s? No way, the recession was temporary. In 2010 is DAC dead? No, this is just another business cycle and this is the worse recession I’ve seen. In DAC 30 to DAC 35 we would see 100 people from Bell Labs, and 100 from IBM. Today it’s a handful in comparison. Q: Who runs DAC today? Son in laws are now running MP Associates, while Pat and Marie are retired. The drop from 2009 to 2010 was mostly caused by moving from San Francisco to Anaheim. Many of the free exhibit attendees are able to travel from Silicon Valley to San Francisco. Of the technical attendees we see people who evaluate tools, which doesn’t change in number as much. Hopefully we will see a pickup at DAC as the economy recovers. Q: What is the future of DAC and EDA? DAC and EDA have enabled a huge revolution in the medical, auto, military, consumer and telecom industries over the decades. My prediction is that the future for DAC and EDA are going to get brighter, the economy is going to turn around, travel budgets are going to come back. Budgets for R&D will come back. Most of the EDA tools in use are quite old and will require re-tooling with new technologies. We won’t see the growth like in the 1990’s. Universities are doing fundamental research that will help us innovate to a new level again. 4 users commented in " DAC and it’s Founder, Pat Pistilli "
Great interview. Pat has always been a shrewd businessman and his pivot from EDA engineer to entrepreneur, launching MP & Associate’s out of DAC, was an astute move. He is mistaken about one thing in his memory though. I attended the 19th DAC in Las Vegas in 1982 and there were at least a dozen exhibitors at what were effectively folding tables. I helped to staff the Silvar-Lisco exhibit which is why I remember it. It wasn’t on a convention show floor but it was space that the exhibitors paid for. My first DAC was in 1987 and it has been a delight to see the EDA world continually morph.